RILAKKUMA WEEKEND POP-UP SHOP & PARTY THIS SAT & SUN! 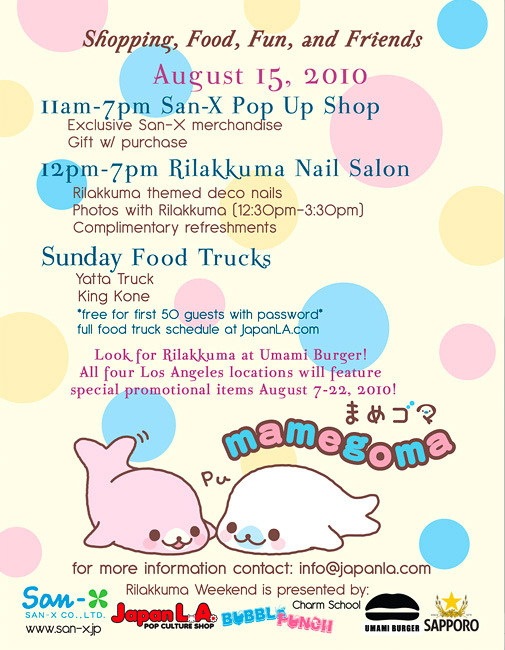 Free Gifts, Food, Drinks, & Rilakkuma Photobooth! Posted on August 11, 2010 by Mick Patel.